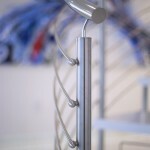 Stainless steel is one element we utilize quite often in our custom designs. 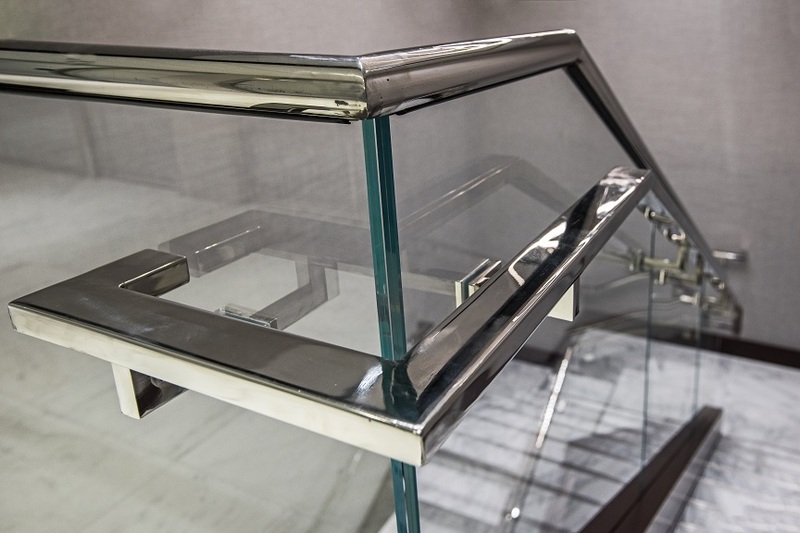 Choosing the right finish when using stainless steel elements in your design can assist in achieving the ambiance you desire. 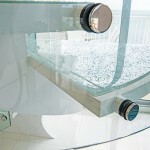 As we always say, designing is in the details! 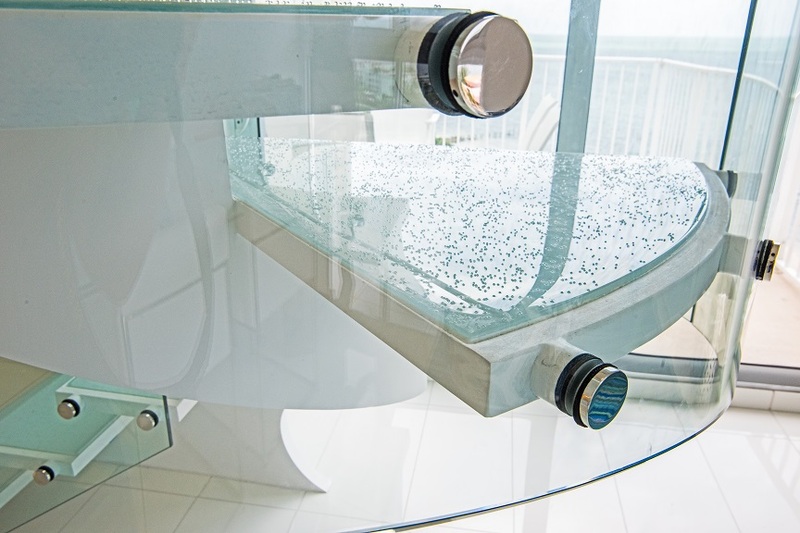 One option to choose from when using stainless steel elements is a polished finish. 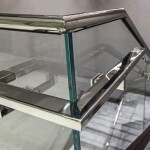 Whether you are designing for a commercial or residential space, a polished chrome finish can create a bright and clean ambiance for any design. 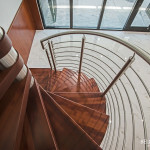 Polished chrome stainless steel can help tie in any staircase design, transforming any space into feeling light and airy. 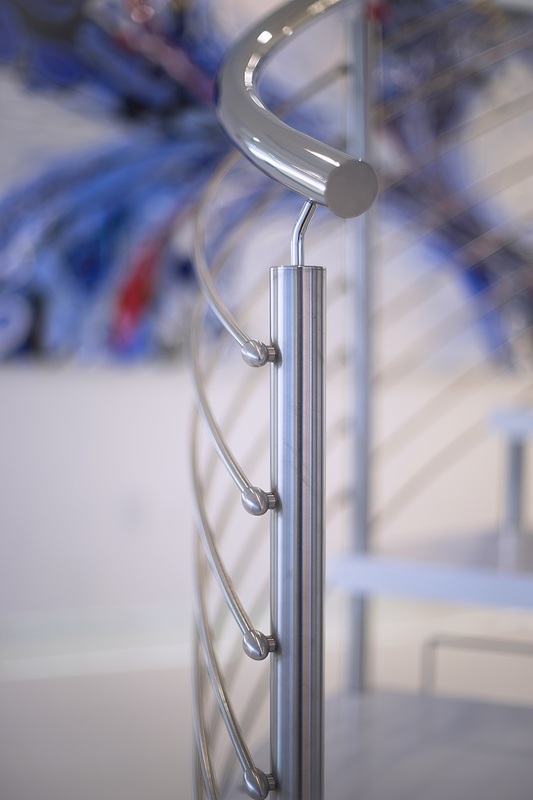 Another option to choose from when using stainless steel elements in your design is a brushed finish. 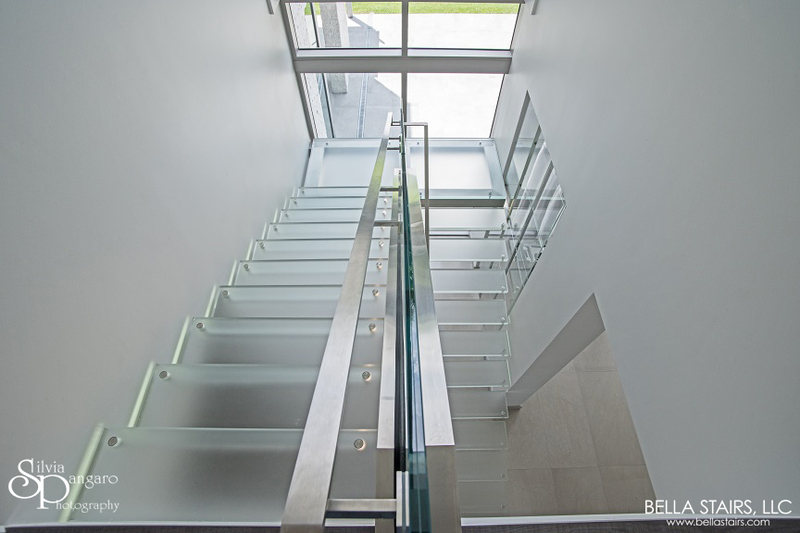 Using a brushed finish when incorporating stainless steel elements in your design can create that clean, contemporary feel you were aspiring for. 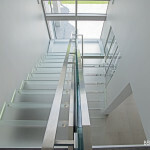 Brushed stainless steel in 304 grade is used for indoor designs. 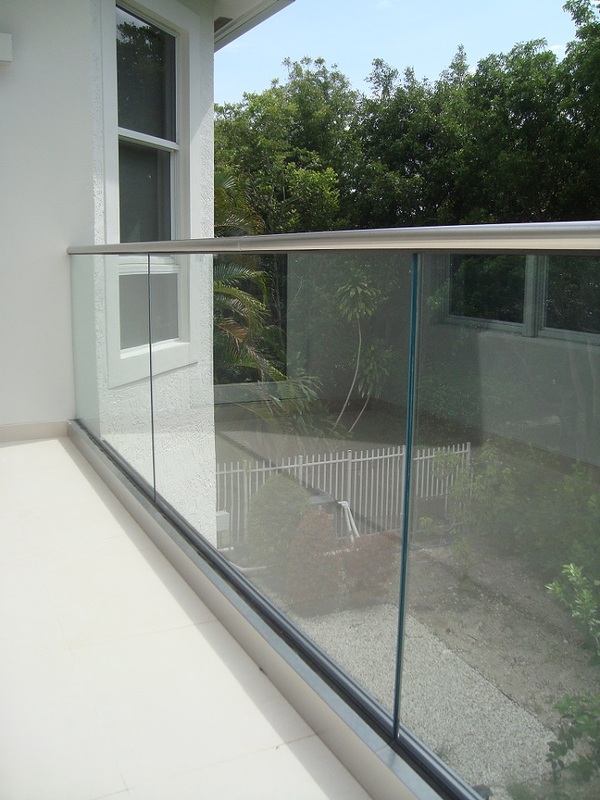 When installing railings to an exterior space, the type of materials you choose should be designed to withstand outdoor elements. 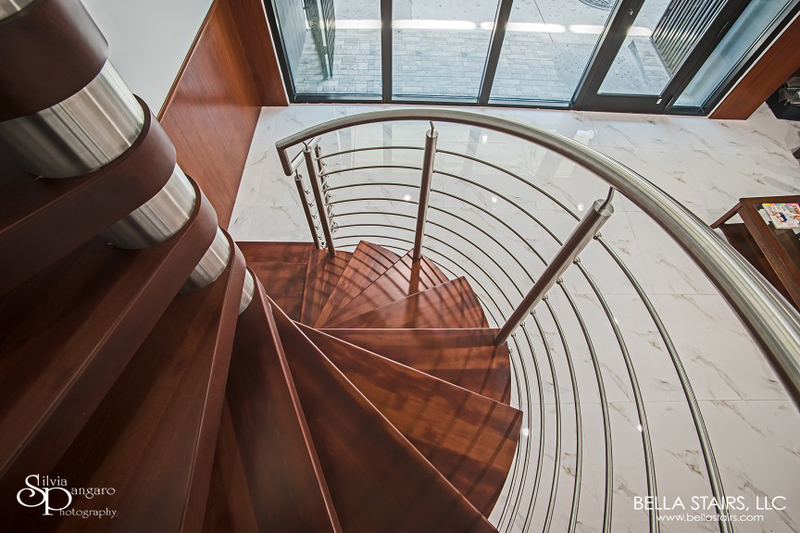 Stainless steel in 316 Grade is preferred for outdoor use due to its greater resistance to corrosion than other grades of steel. 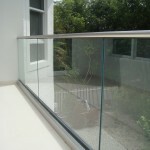 When looking to install stainless steel railings to your exterior space, be sure to use 316 grade stainless steel.